New West End Company, a company created in a business partnership of over 500 retailers in London’s West End, has launched the world’s first environmentally-friendly ‘smart street’, off of Oxford Street. The smart street features highly visible technologies for visitors to view and experience, such as air cleaning pumps, a pavement that converts foot traffic into kinetic energy, and colorful kiosks for retailers. These kiosks provide businesses with the opportunity to showcase their products West End, where they normally wouldn’t have the finances to do so. If the shopping area experiences an increased number of visitors, the businesses will continue to create more smart streets connected to one another across London’s West End. 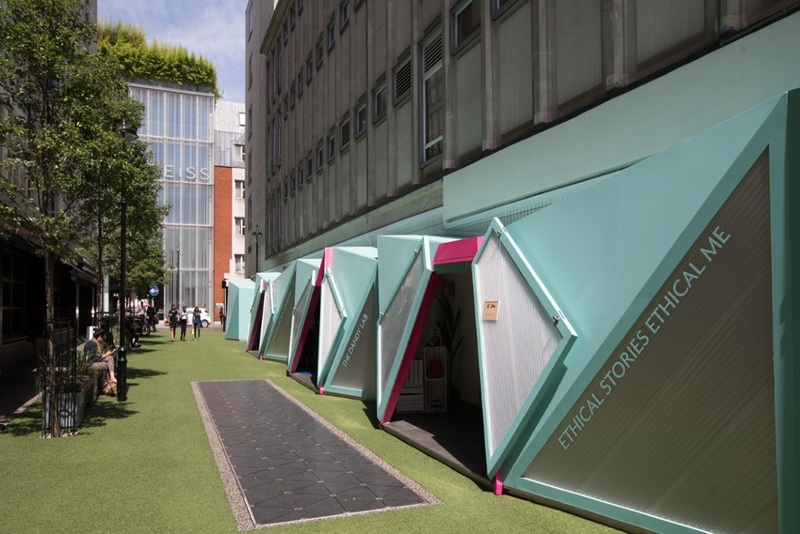 New West End Company, a company created in a business partnership of over 500 retailers in London’s West End, has launched the world’s first environmentally-friendly ‘smart street’, off of Oxford Street. The smart street features highly visible technologies for visitors to view and experience, such as air cleaning pumps, a pavement that converts foot traffic into kinetic energy, and colorful kiosks for retailers. These kiosks provide businesses with the opportunity to showcase their products West End, where they normally wouldn’t have the finances to do so. If the shopping area experiences an increased number of visitors, the businesses will continue to create more smart streets connected to one another across London’s West End.